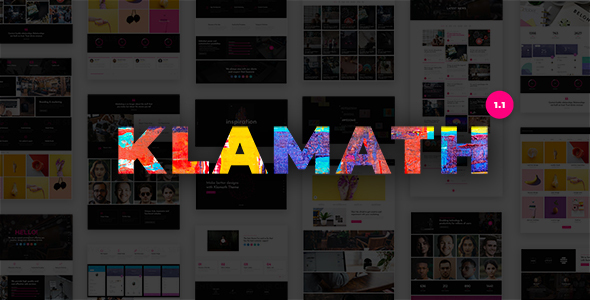 Klamath is a seamless and smooth, easy to use and visually stunning, modern and digital, tech-savvy, highly responsive WordPress premium portfolio website theme. However, Klamath is uniquely well suited for the purpose of creating and maintaining portfolio websites of the highest quality. Build the perfect Creative Agency, Portfolio or Corporate and Blog website with WordPress and Klamath. Responsive design, Drag & Drop Page Builder, 6 months support, lifetime updates included. Save a stack of money with our bundled plugins. Simply download and activate with your Theme package and forget about compatibility issues.